The terms ‘propane’ and ‘butane’ are very common nowadays, especially since they are used for both industrial and household purposes. Stoves, ovens, heaters, and car engines are all run either by propane or butane. Propane and butane are both gases that can be utilized to heat fuel. Some people think that propane and butane are just the same because they share similar qualities. However, they have some differences that may spell advantage or disadvantage depending on how they are used. Before expounding on the differences, it’s important to get to know the similarities between these two gases. Propane and butane are extracted from petroleum, either in oil or natural gas form. Both can be used to fuel vehicles and heat stoves, and both can be combusted to produce similar results, with carbon dioxide, water, carbon monoxide, and soot as by-products. However, their similarities end there. In terms of molecular structure, the two gases differ from each other. Butane is considered a four-carbon alkane consisting of ten hydrogen atoms and four carbon atoms. On the other hand, propane is only a three-carbon alkane made up of eight hydrogen atoms and three carbon atoms. In terms of usage, propane is the more popular among the two, and is used to keep houses warm. Propane can also be used as fuel in portable lamps or heaters. In fact, propane can even serve as vehicle fuel, as long as it is mixed with substances such as propylene, butylene, and butane. When propane is mixed with these substances, it is termed as LPG, or liquefied petroleum gas. LPGs are stored in tanks and connected to stoves, heaters, and car engines to provide heat and power. Sometimes, ethanethiol, another substance, is mixed with propane in order to give the gas an odor. Propane leaks are hard to detect because the gas is odorless; adding ethanethiol can help people locate gas leaks quickly by just tracing the source of the scent. Although butane is not as popular as propane, it is still utilized in many products as an alternative fuel source. Aside from serving as fuel for cigarette lighters and stoves, butane can also be integrated as a propellant for aerosol sprays. In terms of cost, butane is actually cheaper than propane. However, butane has a big disadvantage as a fuel source, because not many devices can be outfitted with butane tanks. Propane tanks, on the other hand, can be easily integrated into any device that requires fuel or heat. Another advantage of propane over butane is that it has a low boiling point and can be stored in tanks at higher pressure. 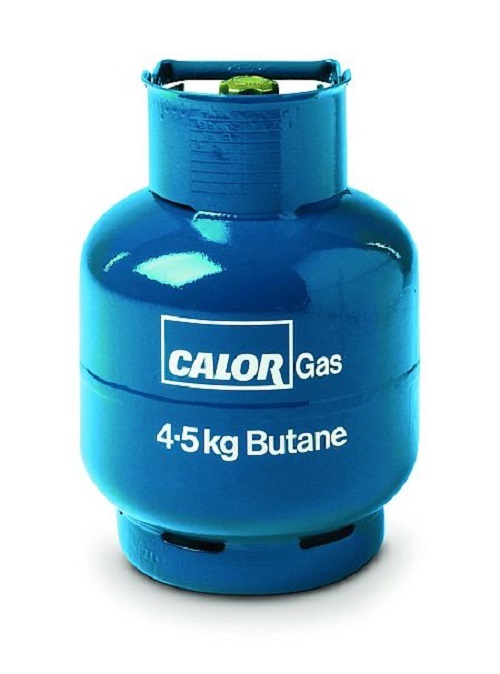 This renders propane the top choice for those who venture into hostile environments; people who go hiking or mountain climbing are usually equipped with propane tanks to serve as their fuel for cooking food. They do not use butane, which has a high building point and cannot adapt well to freezing temperatures. 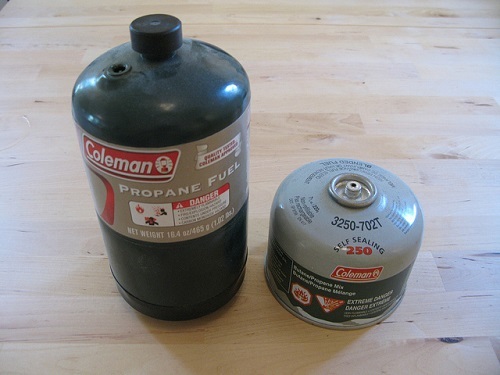 Both propane and butane can be used as fuel for heating equipment and vehicle engines. Propane and butane share similarities because they both come from petroleum. The by-products they produce when combusted are also similar: carbon dioxide, water, carbon monoxide, and soot. Propane is more widely used than butane. Most heating equipment and engines can be outfitted with propane tanks. Butane is cheaper than propane, but not likely to be compatible with common heating equipment or engines. Propane has a low boiling point as compared to butane. Additionally, propane can be stored in high-pressure tanks, making it the ideal choice for those who venture into hostile environments. Celine. "Difference Between Propane and Butane." DifferenceBetween.net. May 22, 2017 < http://www.differencebetween.net/science/difference-between-propane-and-butane/ >. Why is this? Butane under low pressure (2 bar at 50.0 °F) is a liquid with a very high energy content of 28MJ per litre (34MJ per litre for gasoline). I’m actually very surprised it is not used more in transport particularly when you compare it against compressed natural gas which has an energy density of only 9MJ per litre at 250 bar. Question: I have portable stove that says it uses only butane.. So my question is, can it be adaped to use a larger tank of propane? Yes you can. You can buy a adapter at harbor freight. It will connect to your bbq propane tank and hook to the butane tank. With both tanks hooked together Turn large tank upside down and. You open the valve. It is now filling with liquid propane. Only fill it for about 20 seconds and then weigh it. Practice!! These are small tanks and should never be over filled so have a scale there so you can weigh the tank. I believe you are mistaken Joe, Harbor Freight sells adapters to fill small(1 lb ) propane cylinders from the larger (20 lb) tank. I believe Zelma was talking about 4 oz or 8 oz butane can powered stoves. I have developed a system that would boil dirty water that is a used by product of oil and gas wells. Using 1800s technology, the steam engine, converting a water tanker into a boiler to produce steam with the dirty water to power their big electrical generators used in drilling process. They claimed that they are drowning in dirty water and it’s a costly operation removing the dirty water from the drilling area to the deposit centers. The unit would have two compartments. One would evaporate the water out into the open. The other compartment would be used to produce steam power to the generators, thus using the dirty water to help produce electricity. There is another use for the evaporated water and that is ducting the evaporated water into a enclosed air space with a/c units on all four sides. The evaporate water enter the enclosed chamber and the a/c unit would condensate the evaporated water into drinking water. The tank would have two 12″ pipes close to the bottom at the interior of the tank. A gas line inside the 12″ pipe will have burners at every 24″ that would provide heat to boil the dirty water using the excess gases that come from the will. The question is…..out in the fields and in all kind of weather, what would be better to burn….butane or propane. Propane hands down with its lower boiling point. That would be more of a fact than a question.